Losses to a manufacturing facility can be monumental. Physical security in and around the premises is only the beginning. Depending on the nature of the facility, there’s a solution that blends high-output production with the ability to balance technology and human interaction. The latest IP video is your friend. It yields actionable business intelligence that can provide data to benefit the bottom line – for example, making sure production lines are running smoothly. 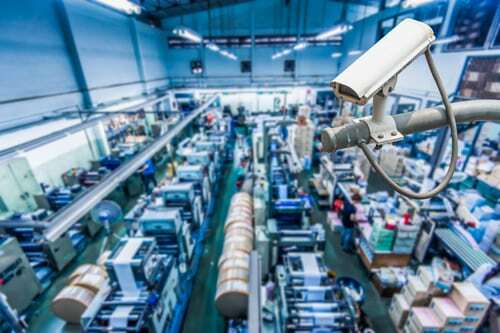 Asset protection and tracking systems with robust wireless signaling technology keep order fulfillment and customer service levels high. Protect in place and mobile machinery and add components such as keypads or access control to make sure only certified operators are in compliance.